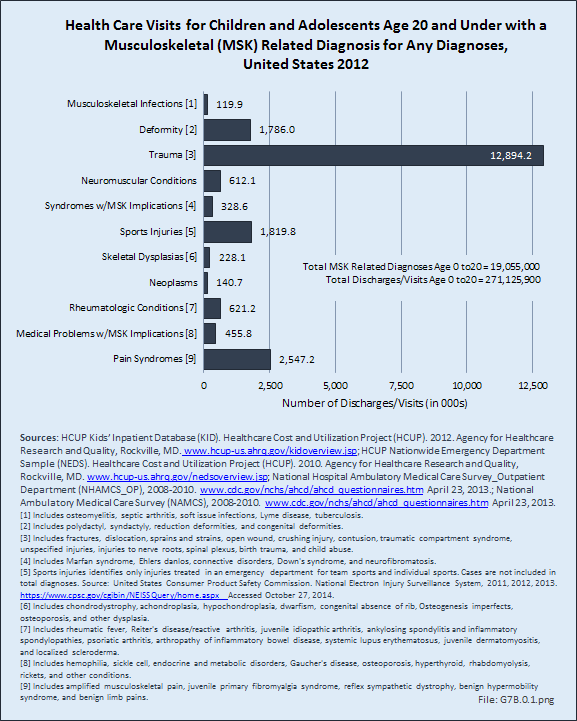 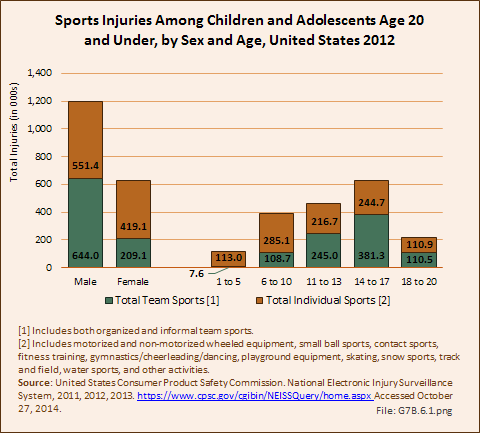 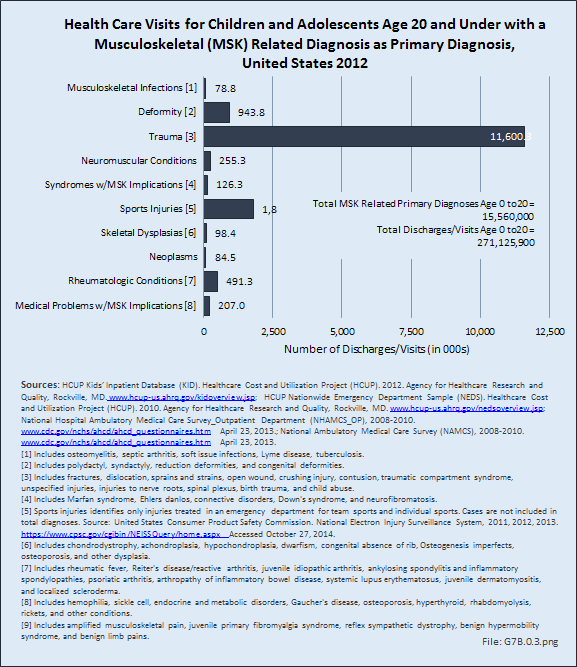 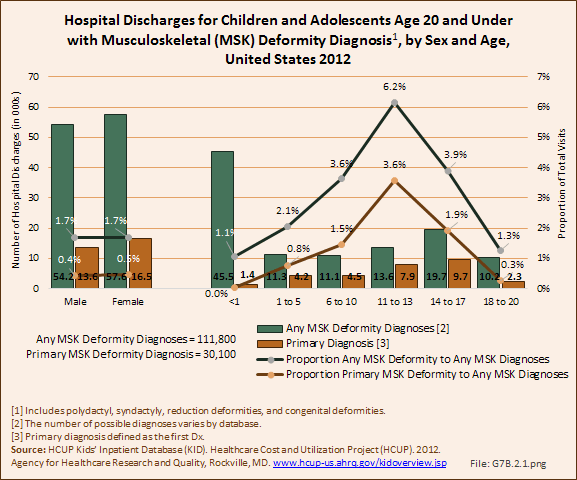 Males and females were hospitalized with a medical problem with musculoskeletal implications in about the same numbers, but with a primary diagnosis, males were more likely to be hospitalized. 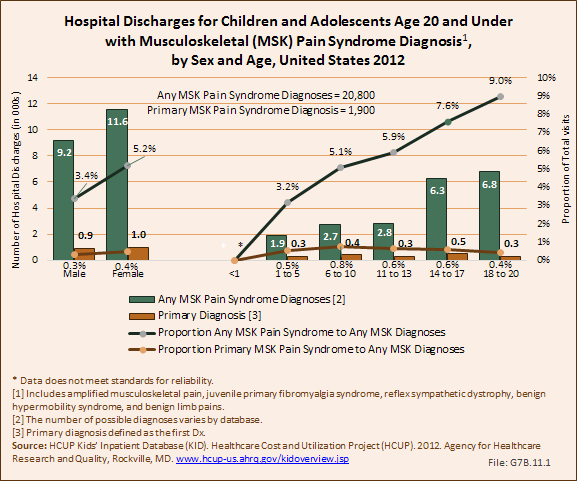 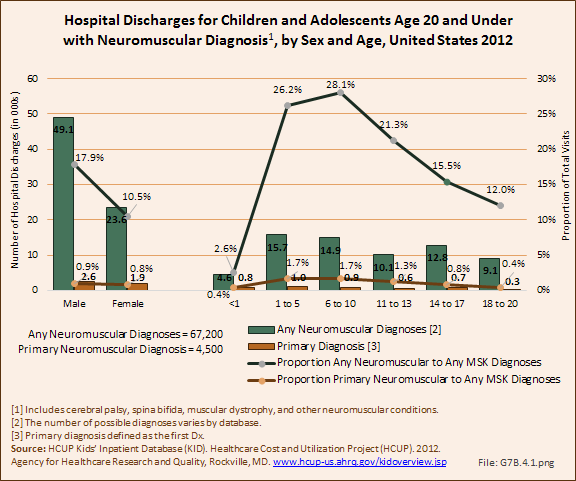 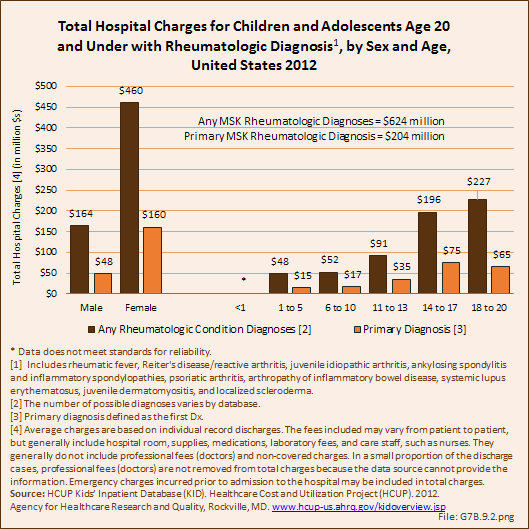 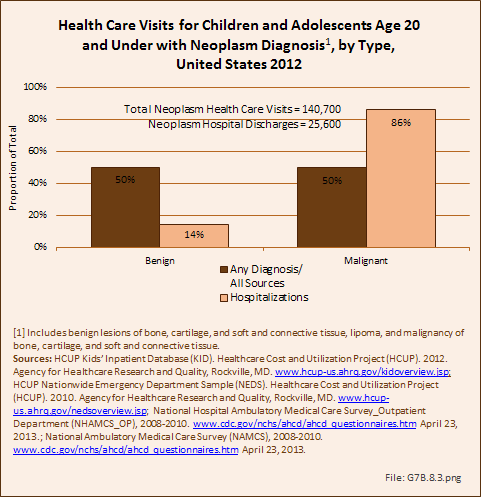 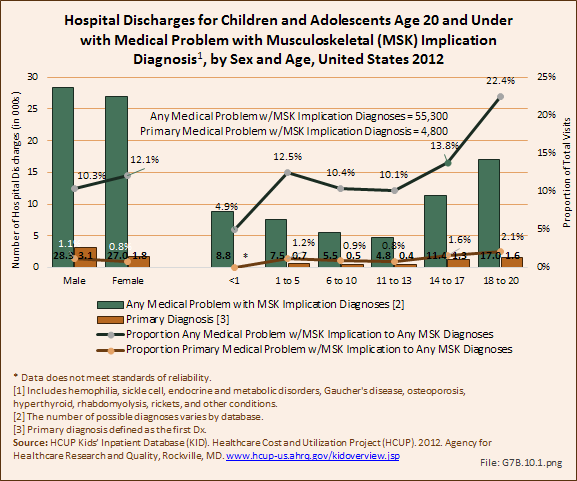 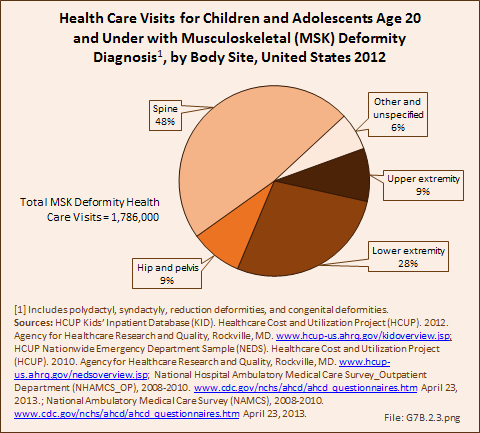 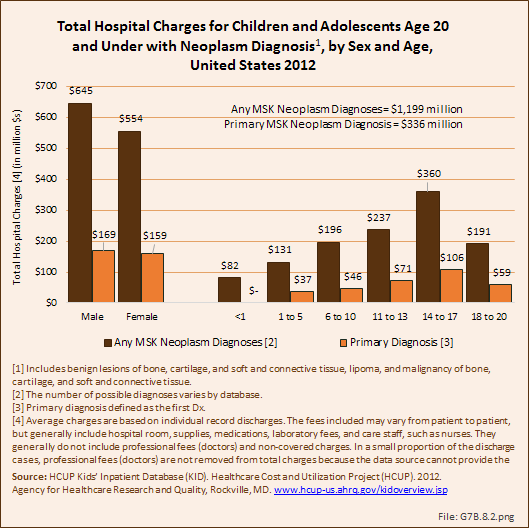 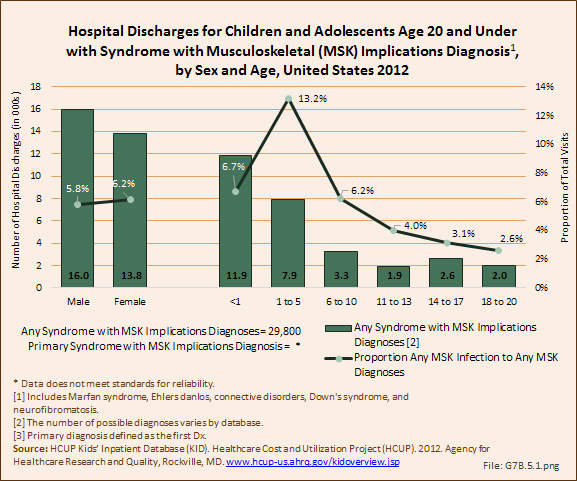 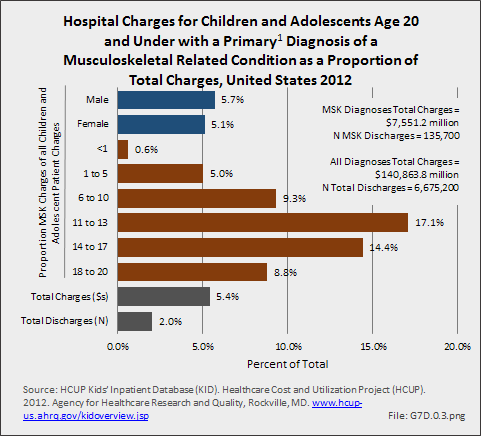 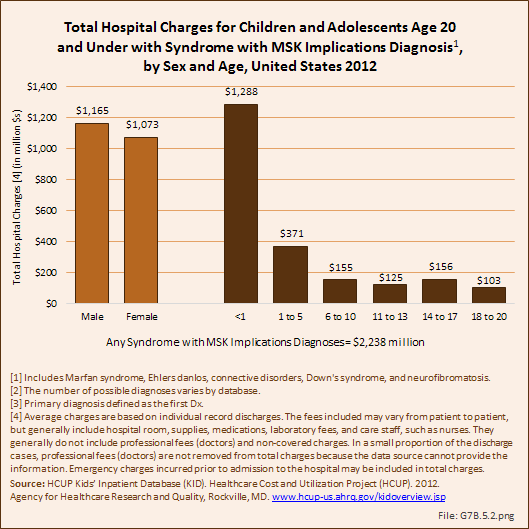 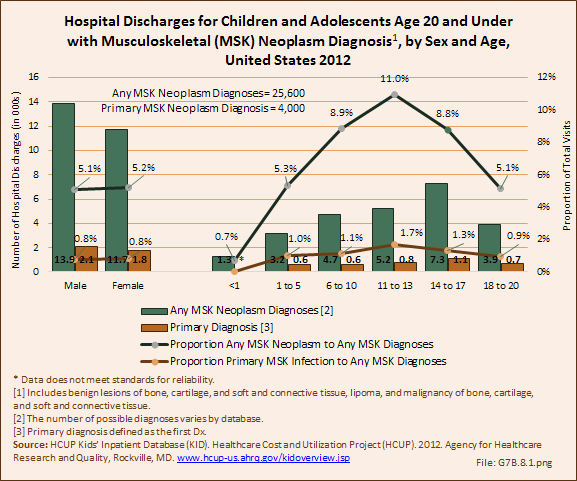 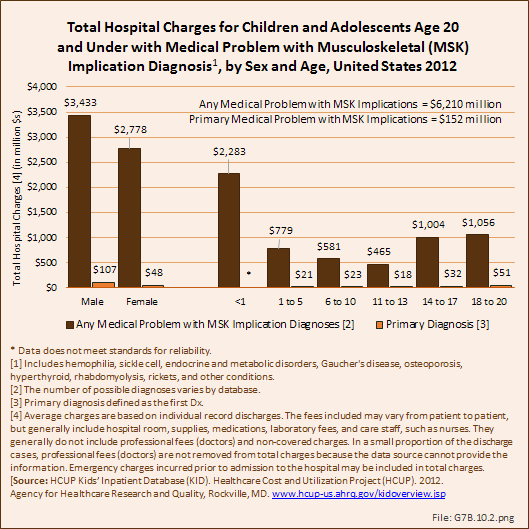 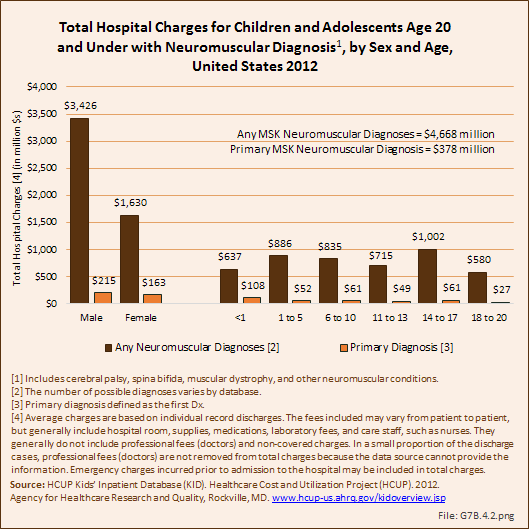 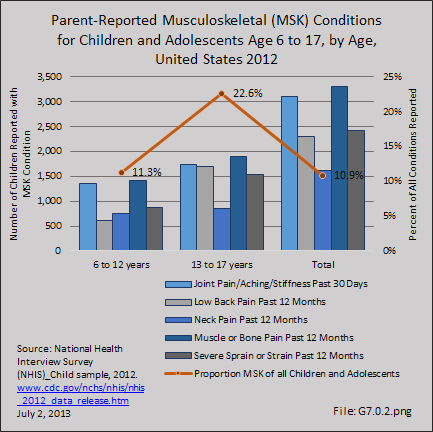 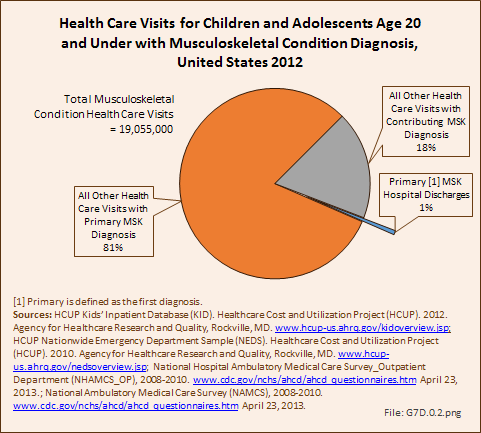 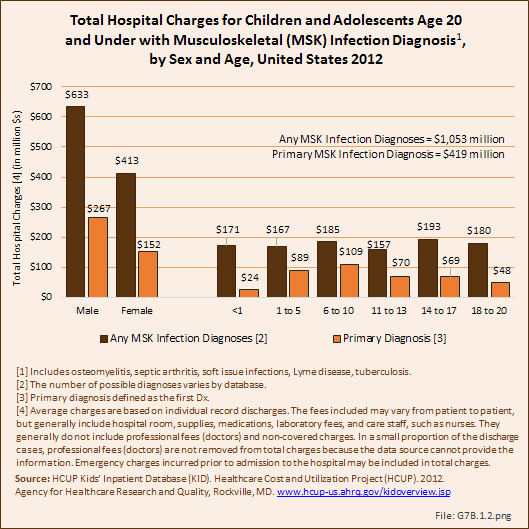 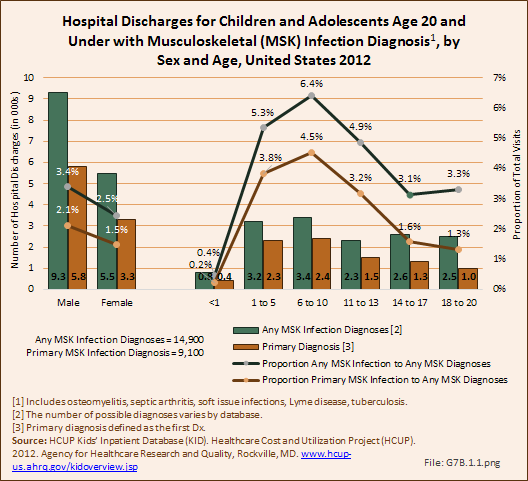 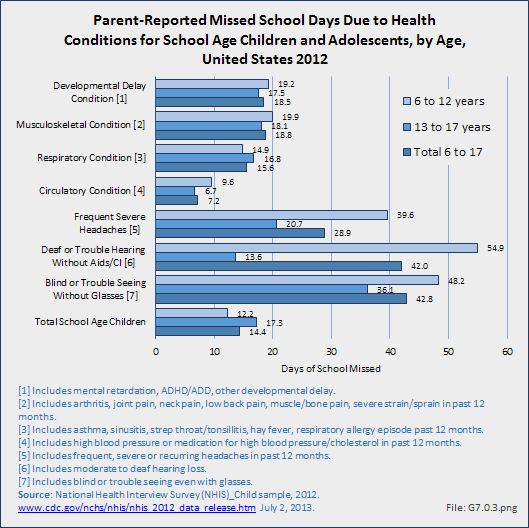 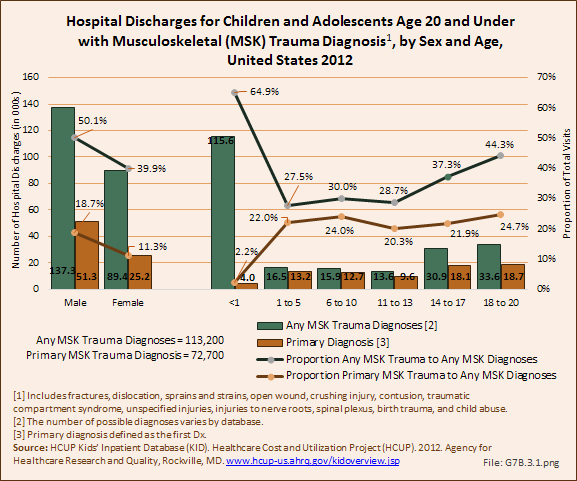 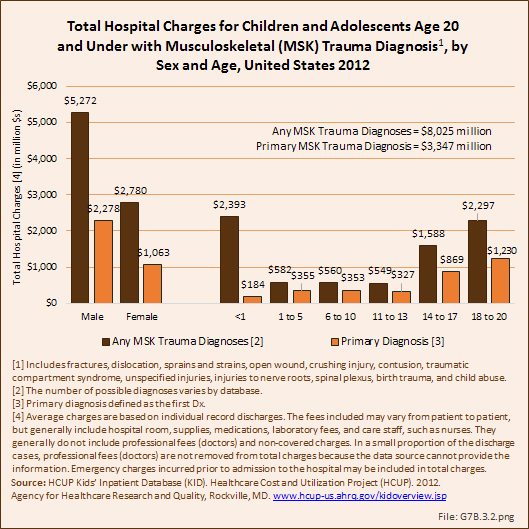 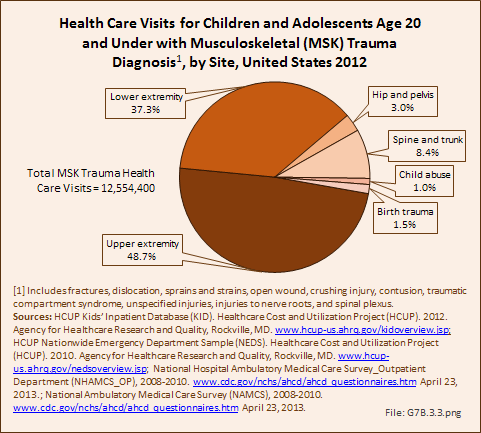 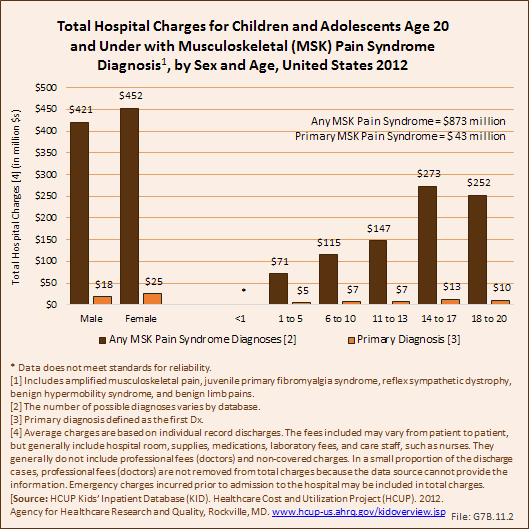 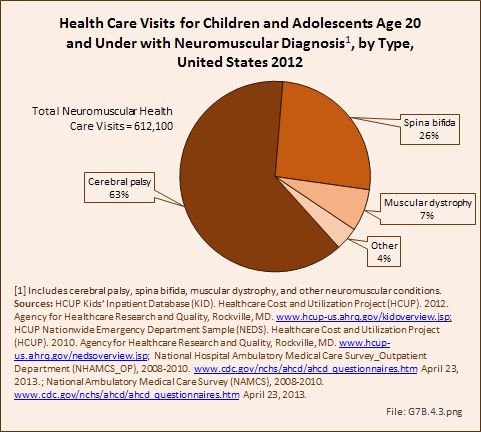 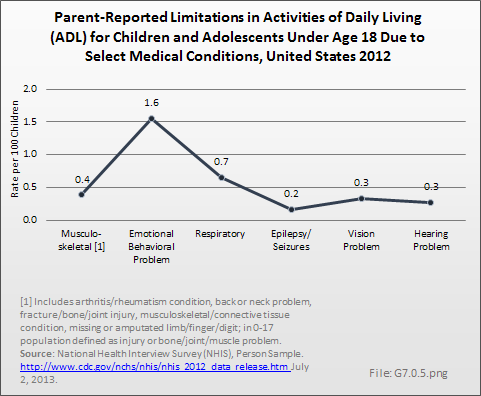 The highest rate of hospitalization when compared to other MSK conditions, was for adolescents age 18 to 20 years of age, the ages just entering adulthood. 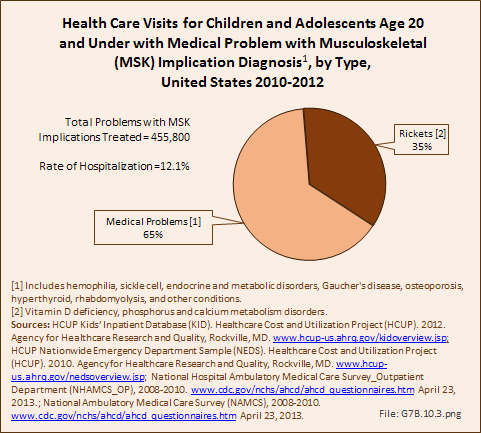 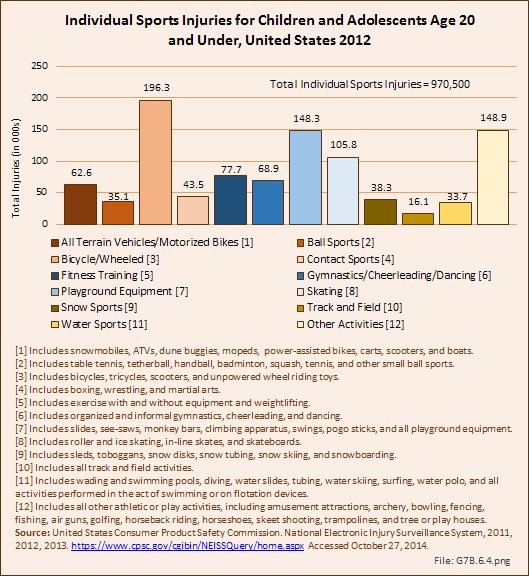 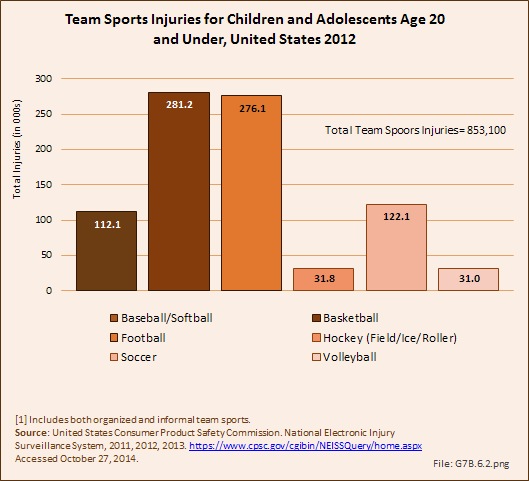 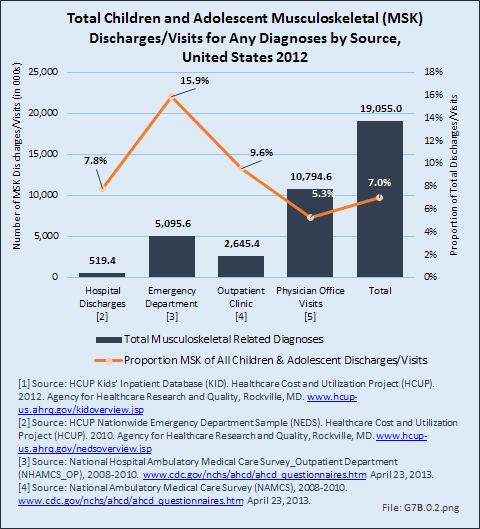 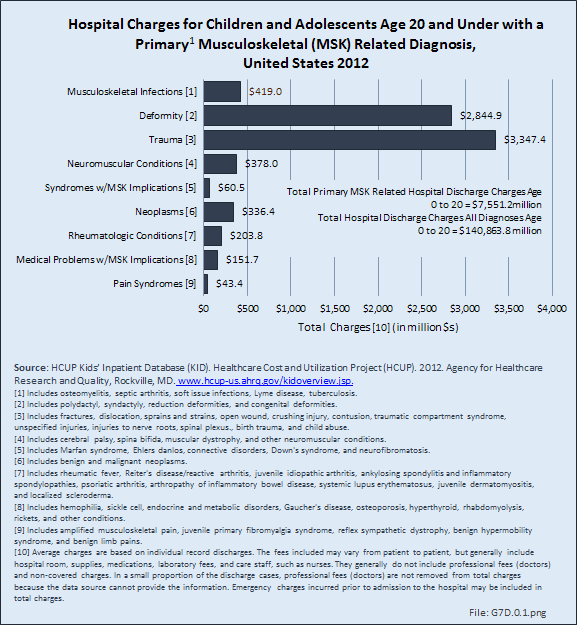 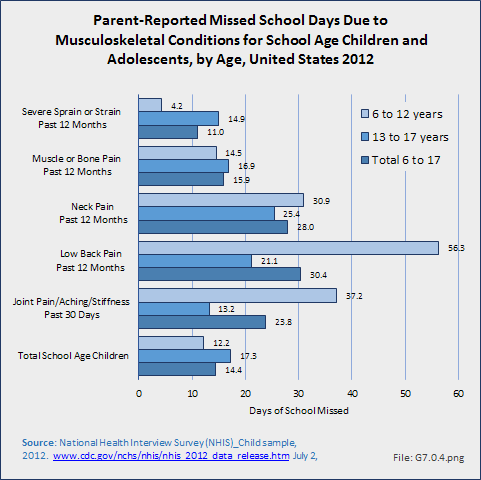 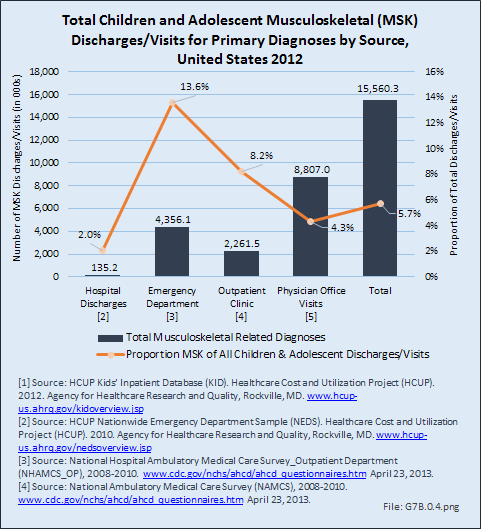 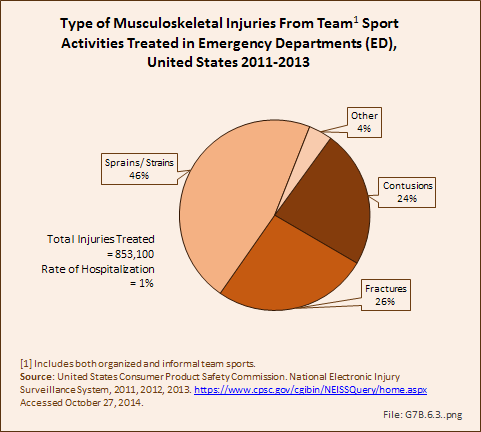 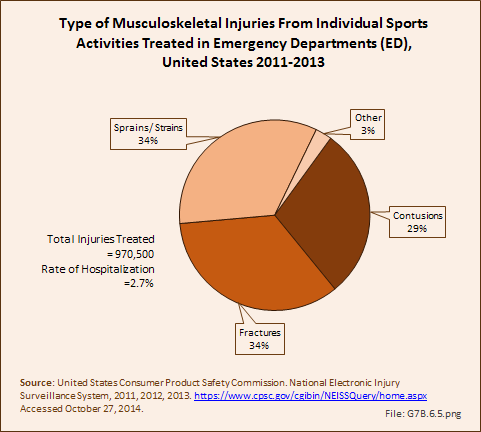 However, this age group tends to have a higher rate of musculoskeletal hospitalizations overall.